The idea of incorporating video with the book and ebook is a good one. The idea of tying in Social Media into books is also a good one. However, from what I have seen from the Simon & Schuster “sample” “vook”, it is offensive to my sensibilities because, once again, New York publishers are trying to take a proprietary approach to something I believe is relatively simple to implement but trying to lock out other parties. I am a proponent for the the independent author and publisher who wants to reputably take their work directly to the open market. To date, I have mostly seen “cheese” because people make very little effort to respect some publishing conventions. I had already made plans to make an announcement on a different note but this whole proprietary vook thing has got me bothered. 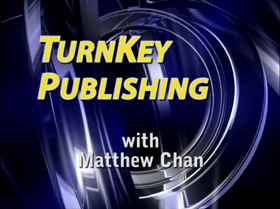 I launched “The TurnKey Publisher” series as a direct attack and alternative to the traditional publishing model but now comes the vook. As such, I feel I need to respond rapidly. I don’t have time to write a book on it, so I am simply taking my proof of concept and giving it away. Essentially, it is my hope to put a damper to any proprietary vook / video books formats. On December 1, I will be releasing my non-proprietary version of the vook for FREE. I will also be providing instructions how to do it for FREE. My Twitter subscribers will be the first to find out about this. With any luck, people who like what they see will spread the word and rally around this open-implementation of vook.